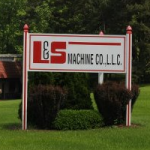 Below is the sixth interview in our series featuring Rob DiNardi of L&S Machine Company. I try to attend outside events for new products and ideas and see how they may fit in a manufacturing organization. Somethings that you think may not fit will in some modified state. From our website, you may notice that we have live plants (123) in our shop. Live plants in a machine shop! No one thought these would live but we tried and most of them have been here for years. The same with the painted ceiling tiles designed by the employees children. I saw this in a pediatrician’s office and it worked well here also. As far as team creativity, I think that creating the atmosphere and environment drives them to be creativite and willing to take the chance to be wrong. I believe this should be on keeping our young people engage and here. They don’t need to go to the West Coast for new and innovative ideas. All of this can be done here. We need to rid ourselves of the “Rust Belt” moniker. 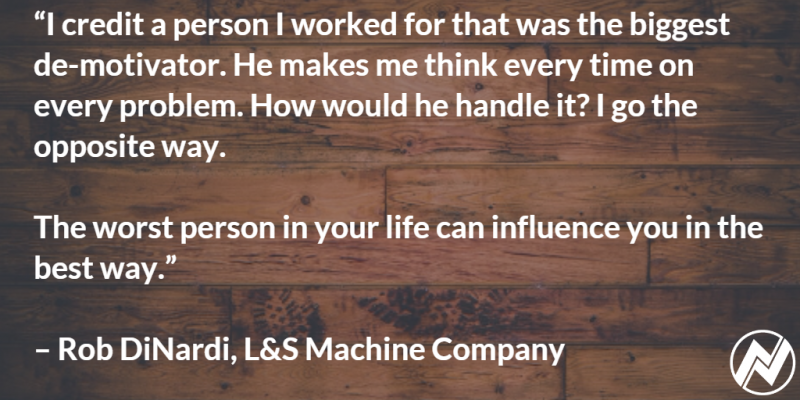 I have worked for several companies and have met a lot of great people that have shaped me, but I would give the most credit to a person that I worked for that was the biggest de-motivator that I had ever seen. He makes me think every time and on every problem of how he would handle it and I go the opposite way. It’s funny how the worst person in your life can influence you in the best way. Again, I look at how other people run companies either through the news, face to face interaction, or just word of mouth and ask myself how I would handle situations. This gives me the ability to be prepared. We had a customer perceived quality issue that prevented us from shipping product. We worked with that customer for 6 months and both got on the same page. We grew from this process and changed some of our procedures that made us a better company.